Rats and mice: the creatures of nightmares. Around the world, these pests are known to spread over 35 diseases that can affect people and pets. And sadly Melbourne is not at all safe from these critters. Introduced to Australia during colonisation, mice and rats have caused havoc since. Strangely, and without an exact reason to date, Australia and China are the only two countries where mouse plagues occur. This is probably due to a lack of natural predators to keep these rodents under control. And we have been hit badly on many occasions, approximately every four years in the southern states. Perhaps the worst instance occurred here in 1993, where mammoth numbers of mice caused approximately $96 million worth of damage. These nasty pests went about destroying thousands of hectares of crops, attacked livestock, damaged vehicles and ruined buildings. However, more recent plagues have continued to damage property, cause health risks and frighten residents. In 2017, mouse plagues rocked Melbourne, with rodents migrating enmasse from the west of Victoria. Due to increased wet weather and a “bumper harvest”, spring proved a great time for these pests to breed; however, in winter when the mercury dropped and temperatures hit rock bottom, mice and rats fled for warmer weather in droves, preferably seeking the comfort of the indoors. The plague moved from Victoria’s rural areas to the outer suburbs, and by this time one year ago, mice and rats had reached the inner city in huge numbers. And that wasn’t the end of it. Just a few months later during breeding season, a plague of a different kind hit the city. For anyone that lives on a train line in inner city Melbourne, you might remember closures. 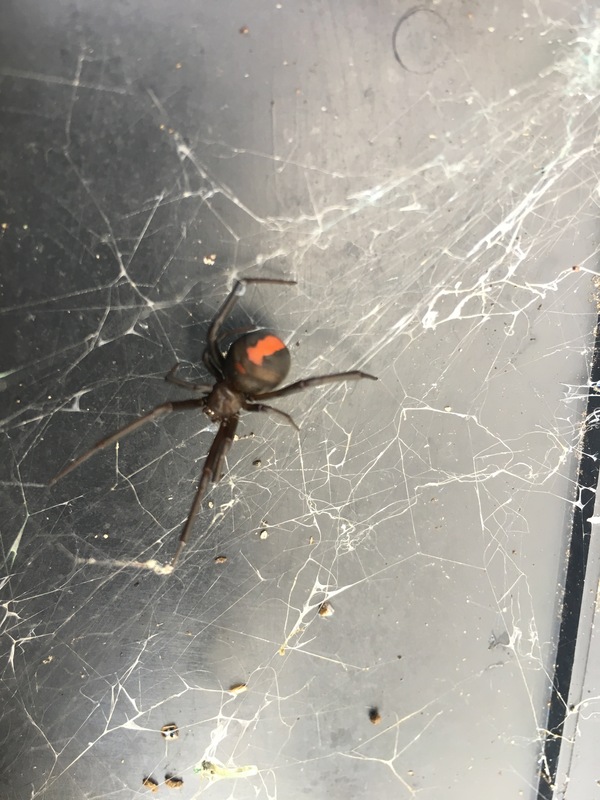 For those living close to the CBD, it is likely you had a few unwanted house guests! This was due to the new metro rail tunnel works disturbing a hidden swarm of rats. This “subterranean” group of rodents had been disturbed by the increased construction activity, sending them scampering to the surface, through the rail tunnels, into the city, its shops and houses. Areas especially affected and targeted by pest controllers were Flagstaff Gardens, Batman Park, Carlton Gardens and Fitzroy Gardens. I would love to say the rodent plagues that hit Melbourne last year have dissipated. However, from my experience, the rodent problem in Melbourne’s inner and outer suburbs has only gotten worse this winter. With very low temperatures, mice and rats will be looking for somewhere warm to sleep and breed. Be sure to contact Right Pest Control’s expert rodent control team on 0478 308 361. 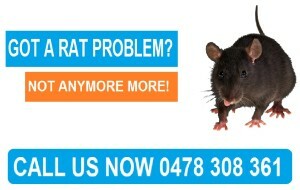 We can safely and quickly assess and eradicate a rodent problem from your Melbourne home, business or property. Commonly mistaken for ants, termites are classified in the same order as cockroaches. However, it is unsurprising that these pests are known as “wood ants” or “white ants”, as certain termite species have been known to cause great damage to homes and structures. The eusocial termite builds complex colonies. For this reason, they are known as ‘superorganisms’, as the individual insects form part of a self-regulating entity: the colony itself. These colonies live in nests that are composed of two parts: the inanimate (still) and the animate (living). The inanimate nest consists of all the termites living inside the nest, while the inanimate nest is the structure itself, made usually from termite faeces (partly digested plant matter). However, when these insects take up residence in the walls of a home, the worker mites go about consuming the wooden structure to build their nest. This often has dire and expensive consequences for homeowners. As termites prefer warmer climates, they are common to Australia. With Melbourne experiencing higher than usual temperatures, termite damage has been on the rise for the past two years. As their nests are often inconspicuously located within the structure of the building, it is not always easy to spot the termites’ well-hidden colony. However, factors that indicate your home may be the victim of these pests include: a clicking sound of the termites eating; flying or swarming termites (fertile male and females) that have left the nest to build a new colony; hollow sounding timber; tight fitting doors and windows caused by moisture the termites leave in the wood as they eat; fine tunnels in wood that falls from the house; droppings (frass) left behind from drywood termites that push their faeces outside instead of using it to build a nest (like other varieties of termite). Eliminating wood contact with the ground. If the structure of your home meets the ground, termites have the perfect pathway into the structure of the building. Sidings, latticework, window frames and other wooden items should be maintained approximately 30 centimetres above the ground to reduce the risk of this pathway. Reducing moisture build-up at the foundation of your property. Like many other insects, termites are attracted to sites where there is an easily-accessible water supply. Water should be diverted away from the building with well-constructed gutters, spouts and splash backs, as leaking faucets and outlets will only encourage these pests to move into your property. Lowering humidity is the crawl space beneath your home. Crawl space, or the area beneath a house, should be ventilated to reduce the humidity that termites thrive in. Vents should be kept free from dirt, leaves and debris, as to encourage air flow and cooling. Excess wood and plant matter should be removed from the close perimeter of your home. Excess wood such as rubbish, mulch, vegetation and fire wood should not come in contact with the crawl space or foundation. A build-up of this material encourages termites to nest and move into the structure of your home. As Melbourne has reached higher than usual levels of infestation over the past two years due to warmer weather conditions, it is important to prevent termites attacking your home or work property. If you anticipate your property has become infested with this destructive guest, call the expert termite removers at Right Pest Control on 0478 308 361. We will assess the termite problem and carry out the safe and necessary measures to eliminate termites causing further damage to your property. As they are often referred to as “white ants” or “wood ants”, termites are commonly thought to be a member of the ant family. However, the termite is actually classified, along with the cockroach, in the order, Blattodea. With over 3000 species, the general appearance of the termite is most usually small, measuring between 4 and 15 millimetres. Like many insects, the female queens are much larger than their male counterparts, with one species measuring up to 10 centimetres in length! The body of the termite is split into segments—head, thorax and ten-segmented abdomen—while, interestingly, most worker termites are completely blind as they do not have eyes. Like bees and wasps, the termite is a eusocial insect, building a society where labour is divided among various castes. Sterile male and female worker termites carry out most of the tasks for the rest of the colony, and are responsible for foraging, food storage, and brood and nest maintenance. As workers are the termites digesting the cellulose to make the nest, they are the caste most commonly found in infested wooden homes and abandoned structures. The winged, fertile castes of male ‘kings’ and female ‘queens’ are responsible solely for reproduction. 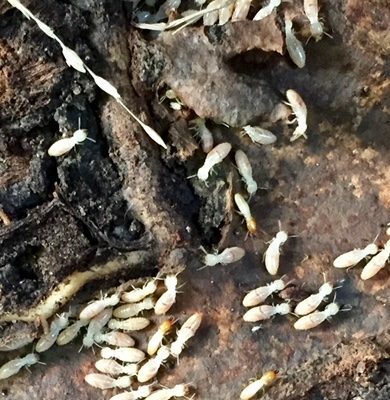 For these reasons, termite colonies are often described as ‘superorganisms’ because the individual insects form part of a self-regulating entity: the colony itself. These colonies live in nests that are composed of two parts: the inanimate (still) and the animate (living). The inanimate nest consists of all the termites living inside the nest, while the inanimate nest is the structure itself, made primarily from termite faeces (partly digested plant matter). Termite nests take of different forms and can be separated into three main categories: subterranean (completely below ground), epigeal (protruding above the soil surface), and arboreal (built above ground, but always connected to the ground via what is known as ‘shelter tubes’). The function of the nest is to act as a protected living space and provide shelter from predators. The most common type of termite nest is those found underground. However, the termite nest most dreaded by humans is, of course, the one that occupies the wooden structures of houses. Drywood termites are termites known to consume, often quite subtly for years, the foundations of houses and structures in warm climates; these termites can also occupy heated structures in cooler climates. It is important to prevent termite attacks in your home or work property, as Melbourne has reached higher than usual levels of infestation over the past two years due to warmer weather conditions. 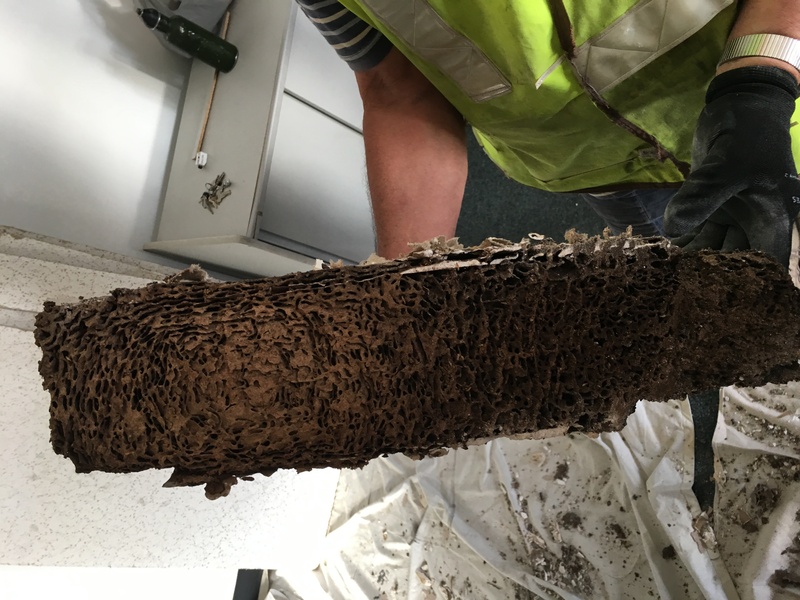 If your home or work property has become been infested with this destructive guest, call the expert termite removers at Right Pest Control on 0478 308 361. WHY FEAR THE COCKROACH IN MELBOURNE? There is a special kind of disgust among people for the common cockroach. This fear—known as Katsaridaphobia when experienced at its worst—might stem from several reasons. Perhaps it’s the unfathomable idea that cockroaches will outlive humans, as they can withstand 2000 times the radiation levels people can. Or the fact that these insects can live for days on end without food. It might very well be the diseases spread by this hardy mite. Or just the ever-surprising way a roach can scurry across the floor late at night when we are least expecting it. For whatever reason, the cockroach is one of the world’s most skin-crawling pests, and they are prevalent in Melbourne’s suburbs. Cockroaches belong to the insect order Blattodea. There are more than 4,000 species of cockroaches worldwide, yet only a small number are considered pests. However, the cockroaches “high pest status” comes from their wide distribution, close association with humans and human environments and potential to carry disease. One of the more disturbing characteristics of the cockroach is a pheromone contained in the insect’s faeces that is spread when the roach presses or smears its excrement onto surfaces to mark feeding and gathering sites. The most common species of cockroach found in Melbourne’s northern and eastern suburbs are the German, American, Oriental and Australian varieties. While the smaller common shining cockroach (Drymaplaneta communis) is a native and does not spread disease or feast on left overs, the other varieties can cause more than just repulsion. These pests can contaminate your home environment by leaving droppings and bacteria scattered around, including antibiotic-resistant strains. These bacteria, such as salmonella, can even cause food poisoning should the roaches be taking up residence in kitchens. Secondly, cockroaches can leave behind tiny parts of their body when grooming themselves. These particles remain in the dust in your home or property, contributing to allergies, asthma and other respiratory problems. 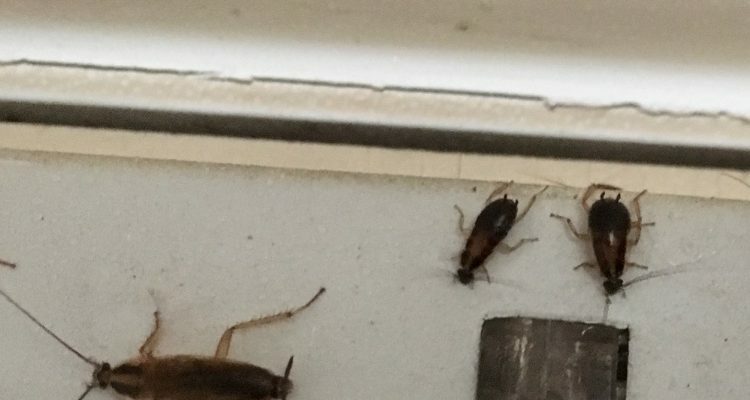 So how can we avoid cockroach outbreaks in our homes and properties in Melbourne? Cockroaches are most likely to infest places where abundant food, water and shelter is present. Cockroaches eat almost any animal or vegetable material, including paper, fabric, leather, starches and grease particles, so it is important to keep a clean and tidy space. Bins and rubbish should be removed from inside as soon as possible, and children should be taught to touch or pick up these diseased pests. 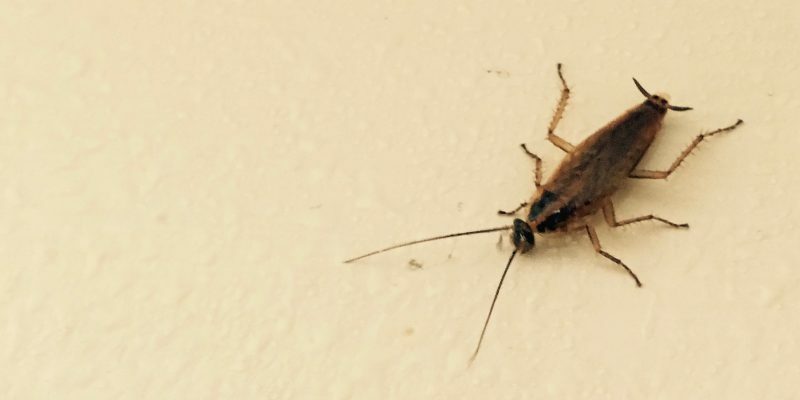 Should you find yourself with cockroaches in your Melbourne home or property, call the expert cockroach removalists at Right Pest Control on 0478 308 361. A client in Melbourne’s CBD could not understand why they were waking with rows of bites each morning. When they contacted our expert pest control in Melbourne about this problem and described what was happening, we suspected it would be bed bugs. We suggested that they contact their real estate agent as they had only been living in this property for a week, and with their approval we went in to do and inspection. It didn’t take long to confirm the problem with a quick inspection of the the bed and frame. 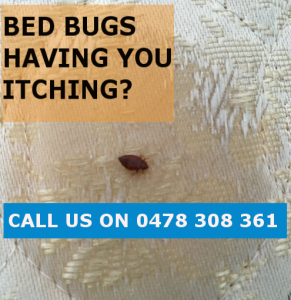 Bed bugs have become a large problem throughout Melbourne CBD of recent times with the increase of overseas travelers staying long periods of time in fully furnished apartments and shared accommodation. While bed bugs do feed on human blood they do not carry or transfer disease to the recipient. One thing that we have noticed at Right Pest Control is the majority of our clients receiving bites from bed bugs are female rather than male. There is no scientific study to suggest that bed bugs feed more often on females than males but this is just something we notice. The average life span of a bed bug is between 6-12 months and a female can lay between 1-5 eggs per day,within 10 days of hatching a newly emerged bed bug is out for a feed so at this stage you may notice an increase in bites. So it don’t take long for an infestation to get out of control in a short period of time. While each adult bed bug only needs to feed approximately every 10 days. When a bed bug bites its victim it also injects enzymes and an anticoagulant to stop the blood from clotting during feeding,while the recipient will not be aware of this happing until several hours later when the sore and itchy welts come about. With an inspection program and monitoring systems available these are great tools for hotels and hostels to stay on top of the increasing problem we have in melbourne. Prevention is always a better solution than waiting until its to late having your valuable clients complaining and putting bad reviews about your business which can be very damaging to your bottom line. Now that winter has begun Paul from Right Pest Control said he has noticed the influx of rodent calls coming in especially from the Northern Suburbs, although rodents are all over Melbourne it seems we are receiving a large amount of work in the Mernda, Epping & Craigieburn areas. Most people say they can not believe the amount of noise a rat can make in the roof and mostly believe it is a possum in there. But after a quick inspection it doesn’t take long to determine that rats are the culprits for all that scurrying, scratching noise keeping people awake at night. But all the noises you hear are the least of your problems. Paul says it is more the smells and droppings they leave behind. Without a bladder as such, Rats & Mice urinate and defecate constantly everywhere they walk leaving behind that terrible stench in the insulation of your home. This is why it is important to get a Rat Exterminator in as soon as you hear these noises. Replacing insulation and heating ducts in your roof can be expensive, needless to say the amount of damage they do to wiring and data cables. Recently one client from Craigieburn had problems with their alarm system not working and one of the sensors failing to light up. It didn’t take long to inspect the roof and work out that the data cable was completely chewed through leaving their home unprotected. Some clients are really freaked out and get quiet distressed at the thought of rats and mice in their roof. Even the cleanest homes get rodent problems at this time of the year Paul says. They do not discriminate on which home they move into, if they can find entry points into your home or business property it doesn’t take them long to settle in, causing you some sleepless nights. That’s where we come in, taking all the necessary steps to take care of your property keeping you and your loved ones safe from not only rodents but all pests. Our Melbourne Pest Control expert technicians will give you all the advice you need to know about what we have done and what we will do. Something we hear from a lot of clients is “I’m going to ask a silly question”, no question is a silly question to us. At Right Pest Control, we love to spend time with our valuable clients so they totally understand the process of what we have done. Customer service is the number one priority at Right Pest Control. Food, water and shelter are the only three things required for any pest to survive in your commercial kitchen. Traditionally, cockroaches are treated on monthly to 8 weekly program using a crack and crevice” type of application. This is where the exterminator sprays any suspicious-looking areas with a pesticide to kill the cockroaches. Since cockroaches like to hide in tight cracks and crevices that touch their bodies both above and below, special attention is paid to all cracks and crevices in your kitchen, gaps between shelving, etc. Once they have found a way into your food establishment they are are not leaving without the help of an expert melbourne pest control company. One of the major problems is Restaurant and cafe owners are mislead with information about closing down for long periods of time while spraying is taking place but Right Pest Control will advise you on the correct times and carry out treatments so this issue is minimised and in most cases will not interrupt food service at all. Most of our commercial clients have once been with other companies but switched as we are so accommodating in what we offer in service and quality. Treating many restaurants in one of Melbourne’s leading food strips where all the owner communicate,seen us pick up many clients in a very short period of time, which we have been servicing for many years now. Cockroach control and rodent control are a must have solution in every food manufacturing and handling premises to stay up to standard with the food safety act. Our pest exterminators are trained to no only treat the current infestation but to monitor it on regular basis,also giving advice on how to maintain your kitchen or bar at a high standard. Pests can be detrimental to your business not only contaminating food in storage, but freaking out clients that just will not return after having that close encounter with a mouse or a roach running across the counter top while serving, every owners worst nightmare. Rodents or more commonly known as rats and mice have become a very large problem in Melbourne’s outer suburbs. However, they do become more noticeable in the cooler months of winter. 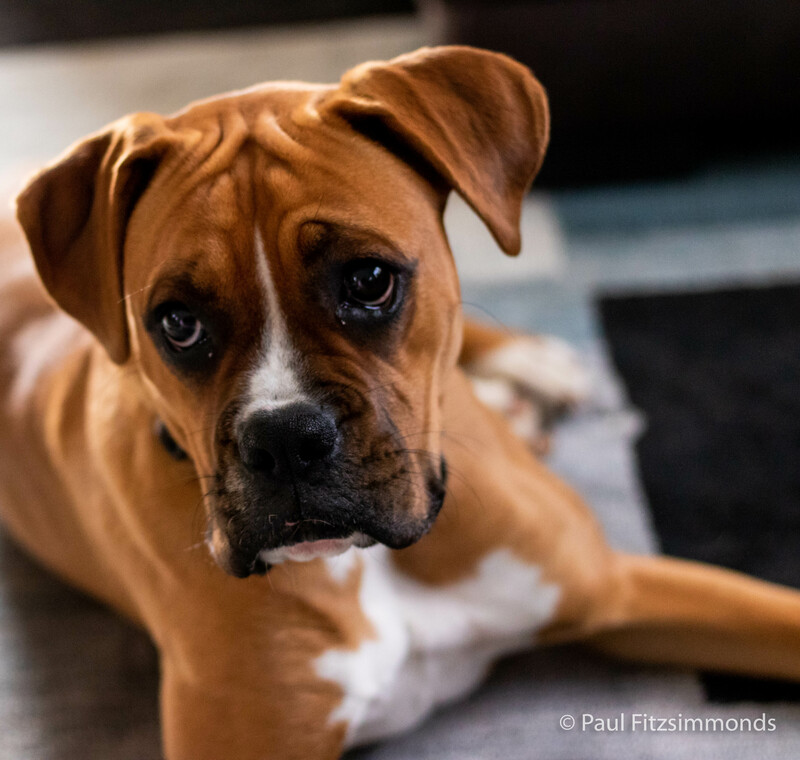 This is because they are warm blooded mammals just like us so they tend to come indoors in these cooler months causing much disturbance and damage to us and our property. Whether it be making quite a lot of noise in the roof space above your bedroom when you are trying to sleep or running around throughout your home making a mess they leave possibilities for you and your family members to get sick with the diseases they can spread. Therefore, when the weather temperature drops dramatically as it does in Melbourne, rats and mice move indoors for warmth. 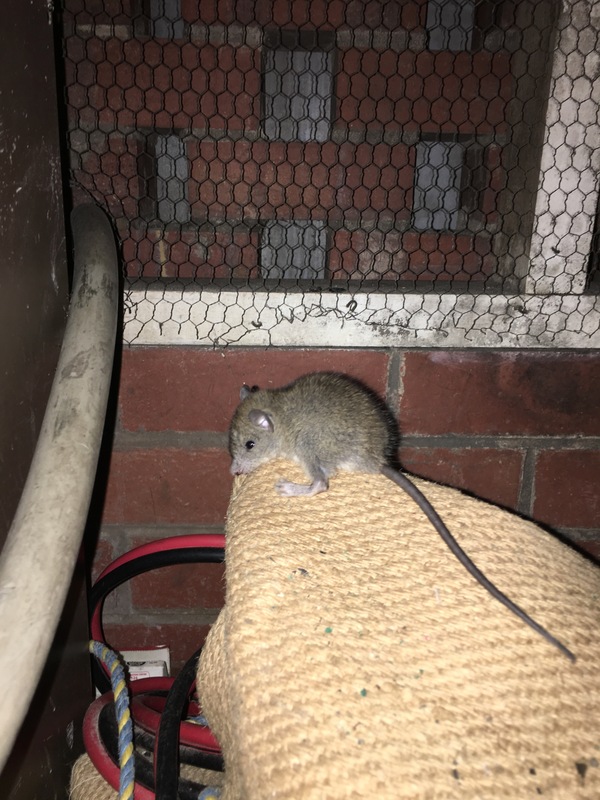 If you need a rat exterminator that takes great pride in the service they provide throughout Melbourne suburbs in commercial or residential situations then Right Pest Control can service and solve your problem. 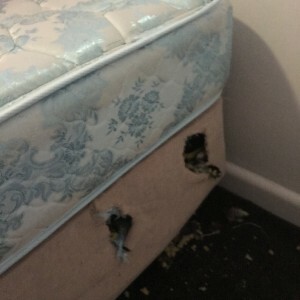 A recent call from a client that thought they had a rat sneaking into their property at night was confirmed when we got to the property for an inspection and found a surprise in the spare bedroom. As you can see there is quite significant damage to this bed base. Not only had they chewed holes into the bed base,but they were also chewing away at the timber frame. Rodents need to continually gnaw on hard objects to wear down their front teeth. This is the way they keep them in good condition for causing maximum damage as they do continually grow and can get too long making life hard for them to forage on other hard food sources like nuts and seeds from fruits. This is why quite often you will hear them gnawing on the timbers inside your roof space. Recently we have come across some very expensive repairs required after rodents have been left to their devises. Not only chewing dishwasher hoses and flooding kitchens but a very costly problem where rats had been gnawing the the hard plastic water pipes of a display home in Melbourne’s northern suburbs. Causing a series of water leaks throughout the home sending a repair bill into the tens of thousands as carpet, plaster and furnishing were all ruined. Right Pest Control services all across Melbourne. Call Us on 0478 308 361 for more info.